Protein is one of the most important nutrients you need on a daily basis. Sometimes it’s not possible to get the necessary protein intake from regular meals so it can be beneficial to include a protein shake as part of your daily routine. Especially, if you are working out and trying to build muscle. Protein shakes have a variety of purposes, from increasing muscle mass to losing weight. The only issue is that most powder formulas are standard and don’t cater to different body types. With Gainful this never needs to be an issue again. Each Gainful protein powder’s formula is generated to suit your specific needs. As a result, your nutrition is maximized and your goals are easier to achieve. Are you ready to learn more and see if it’s what you’ve been looking for? Protein is necessary because it’s an essential macro-nutrient that the body requires to function normally. It’s made of amino acids which are the ingredients needed to create new cells. Different combinations of amino acids have various purposes from repairing tissue to ensuring muscle growth. Proteins also produce enzymes which are needed for certain biological reactions to occur including digestion and muscle contractions. This is why they’re so important if you’re exercising. They encourage and cause the contractions that lead to muscle growth. Without a healthy amount of protein, you’ll see less progress and progress in the gym and may not feel your best. What’s the Optimal Amount of Protein Intake? The optimal amount of protein intake varies from person to person but, because it's so important, it’s recommended that it should be 25-30% of your daily calories. Officially the Dietary Reference Intake suggests you should have 0.8g of protein for every kilogram you weigh. If you exercise regularly this should be increased to 1.2g for every kilogram. Gainful – How Is It Different from Other Protein Powders? Most protein powders use a standard formula which isn’t tailored to your needs, so you might end up gaining weight even if your goal was to lose weight. Gainful, on the other hand, suggests a formula that is designed to suit your training goals or body type. It’s based on the idea that everyone is different, so their protein intake should vary as well. Very few Gainful protein blends are the same, which means that each powder will have ingredients specific to the buyer. As a result, the ingredients vary from person to person, but all ingredients are organic and meant to boost your health. 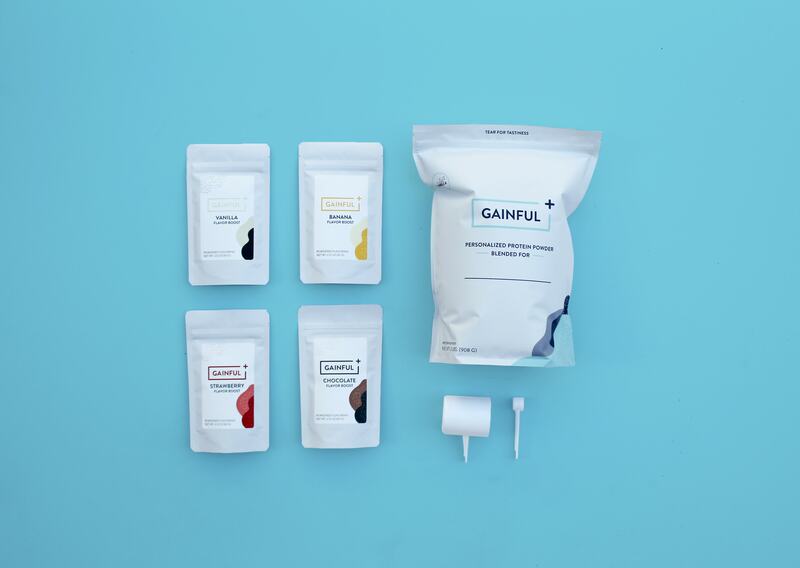 Although the taste of the protein powder itself may be bland, Gainful gives you an option of either vanilla or chocolate flavoring so your drink can be healthy and delicious. Your protein blend may even have an added organic sweetener to ensure it still tastes amazing despite the blend of ingredients. The ordering process only has two easy steps. Before you can begin ordering, you must first take the quiz on Gainful’s homepage so that it can work out your exact protein blend. This is really easy to do. Simply select your gender on the main page and this will lead you to a series of questions that will help figure out your formula. It’s a lot of fun and you’ll know that the blend is perfect for your needs. Once your results are ready and you’ve evaluated your blend, you simply select “Purchase” which will appear underneath the write up of your unique ingredients. Fill in your shipping details and you’ll receive your protein powder in a short period of time. Take the free quiz & we'll calculate your perfect blend. Visit Gainful.com to get started. The short answer is, yes, Gainful products have been tested. All ingredients are safe and manufacturers must provide Certificates of Analyses (COAs) to prove that each ingredient won’t cause any harm. Gainful’s own manufacturers then test the ingredients again using their own QA testing. Once manufacturing is completed, the product is packaged safely and is FDA approved. The company also ensures all plant based products that are organic and all proteins are hormone free. If you want more information, you can click here. Most Gainful protein powders contain whey protein as it’s a nutrient filled ingredient that will give you the needed protein intake. The only issue is that it is a milk based product which may not be suitable for all dietary requirements. If this is the case, Gainful does offer 100% plant based blends. All you need to do is select “vegan” during your quiz. Whey protein is considered vegetarian safe as it’s milk based so it causes no harm to animals. If you would prefer a vegan, plant basedoption you can substitute whey protein for organic pea protein and brown rice protein. Both the whey and vegan options are vegetarian safe so you can decide which one you’d prefer. Once again, whey protein is milk based so if you select “vegan” in your quiz your blend will be entirely plant based. There is an option to select “lactose intolerant” in your quiz if consuming dairy is a health issue for you. This will replace the whey protein with a whey based protein where the lactose is removed. It gives you all the benefits of whey protein while still making it safe to consume. All Gainful ingredients are non GMO. Even though they’re not yet non GMO project verified, the company ensures that every ingredient is harvested or manufactured correctly without any harm done to the environment. All plant based products are vegan and organic certified while whey protein concentrate, isolate & micellar casein are cold pressed, micro-filtered and undenatured (not exposed to high heat) to ensure they’re kept safe. 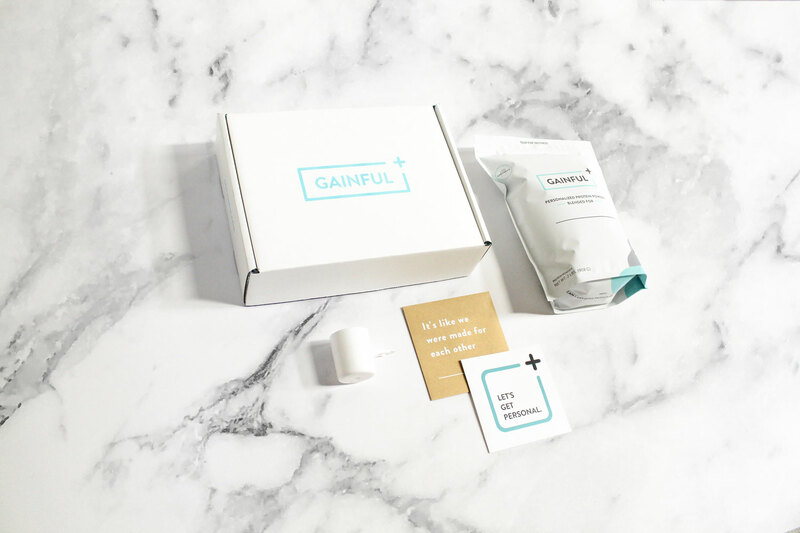 Gainful also makes sure all products are free of hormones so you’re guaranteed that your products won’t cause any harm and haven’t been genetically modified. If you purchase Gainful from the website, you’ll have access to a free registered dietitian. Your dietitian can give you advice on how to reach weight goals as well as what ingredients are best for you. If you’re unsure about ingredients, your registered dietitian has all the information you need. You can even contact him or her whenever it suits you. Cost – Will You Save Money? Gainful may appear more expensive than most protein powders on the market. The difference is that because Gainful is suited to you and your body type, you’re more likely to have progressive results. For this reason, you’ll be saving money in the long run as you won’t waste any money on ineffective products. Additionally, the quiz and consultations with the registered dietitian are free so you’re getting more benefits for the price you pay, compared to some other services. Shipping is entirely free as long as you order directly from Gainful, so it’s another area where you save costs. You can even get expedited shipping if you contact Gainful at the time of your order, although this may incur additional costs. At this point, it doesn’t ship internationally but the company is working towards expanding its market in the future. Q. I have celiac disease. Is Gainful Protein gluten free? A: All of Gainful’s ingredients don’t contain gluten. Although, it’s important to note that the blends are manufactured with the same equipment as a company that does use gluten based products. For this reason, the products may not be safe for someone with gluten allergies or celiac disease. Q: Is it safe for people with nut allergies? A: None of Gainful’s ingredients contain nuts but the company shares equipment with a facility that does use nuts in its food processing. It’s unlikely this will cause any harm unless your allergy is severe. It’s recommended you consult with a physician beforehand. ​Gainfu​l ensures that your blend is perfect for you and your needs. It’s a marvelous way to increase your nutrient intake which means you’ll be healthier and you’ll lose weight more effectively when exercising. On the other hand, if you’re hoping to build muscle, there’s a blend for you. It’s always recommended to speak to your physician if you’re unsure about any ingredients but Gainful makes sure your blend is organic and healthy. You’ll see results faster than with many other protein shakes. Everybody is different, so why should your protein shake be the same?